MANILA, Philippines – (UPDATED) The final draft of the new Implementing Rules and Regulations (IRR) of the Continuing Professional Development Law of 2016 (CPD Law) has been released. 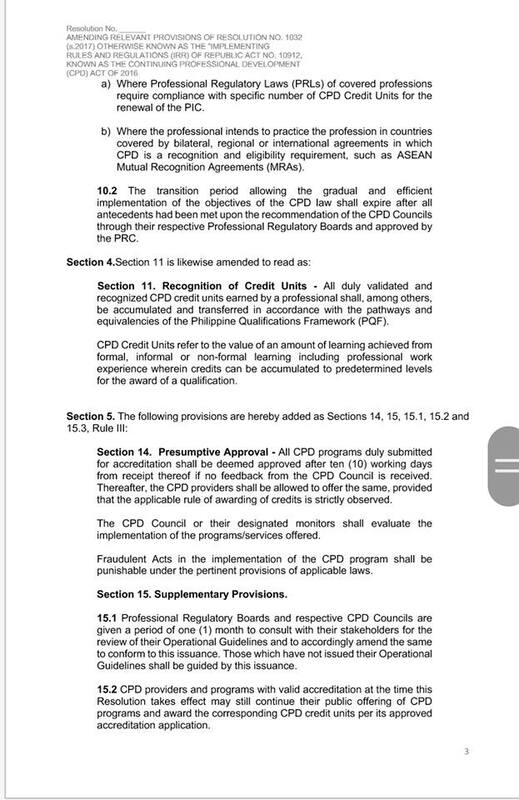 “Newly licensed professionals shall be exempted from CPD requirements for their first renewal." 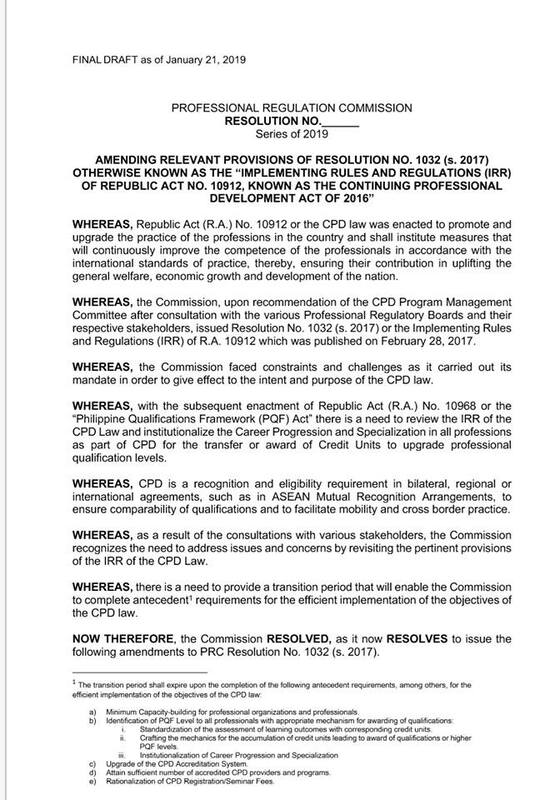 Dated January 31, 2019, the draft outlines the new rules and regulations for the implementation of the CPD Law. 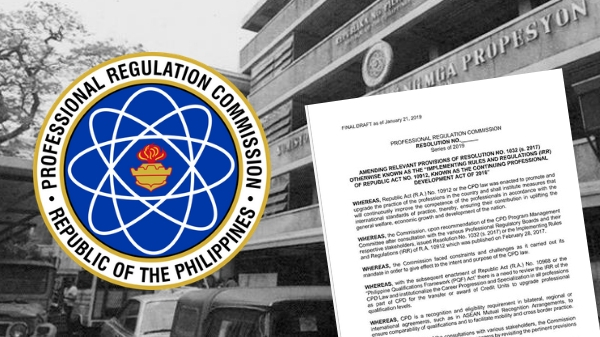 On Monday, February 4, the Professional Regulation Commission (PRC) made an announcement that they had lifted the enforcement of the CPD Law for an indefinite period. The new resolution shall be released within the month. For now, a transition period is being implemented. The Overseas Filipino workers (OFW) and newly licensed professionals are now temporarily exempted from complying the CPD requirements for their licenses renewal until the new IRR is approved. CPD requirements are also reduced to not more than 15 units. During the Senate consultation, the senators confirmed that there is a clamor for the repeal of the CPD Law, however, they admitted that it will need a lengthy legislative process. They also revealed that as of the moment, there are no progress on the bills seeking for the repeal of the CPD Law in the Congress. Significant decrease in the number of required CPD units for the renewal of professional license. From 45 units, it’s now down to 15 units every three years. In-house trainings and capacity-building activities of government agencies and corporations, including local government units and private employers shall be credited and considered as CPD compliance. CPD is still a mandatory requirement for the renewal of the PRC ID of all registered and licensed professionals. For teachers, there should be an alignment in the CPD forms with the DepEd to lessen the burden of additional paperwork. Professionals working abroad shall not be covered by the CPD requirement during the period of their employment abroad. Newly licensed professionals shall be exempted from CPD requirements for their first renewal. 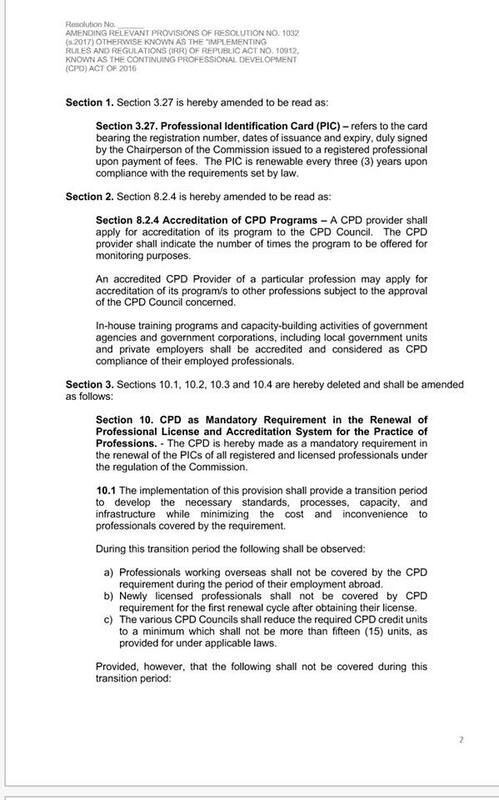 CPD councils shall reduce the required CPD units to a minimum which shall not be more than 15 CPD units. Standardization of the assessment of learning outcomes with corresponding credit units. Crafting of the mechanics for the accumulation of credit units leading to award of qualifications or higher PQF levels. It was agreed during the consultation that until the PRC complies with the pre-conditions, all seminars attended by licensed professionals should be recognized as CPD units and shall be accepted as valid for the renewal of their licenses. PRC Chairman Teofilo S. Pilando, Jr. said the aforementioned provisions will be in effect until end to the transition period for RA 10912. 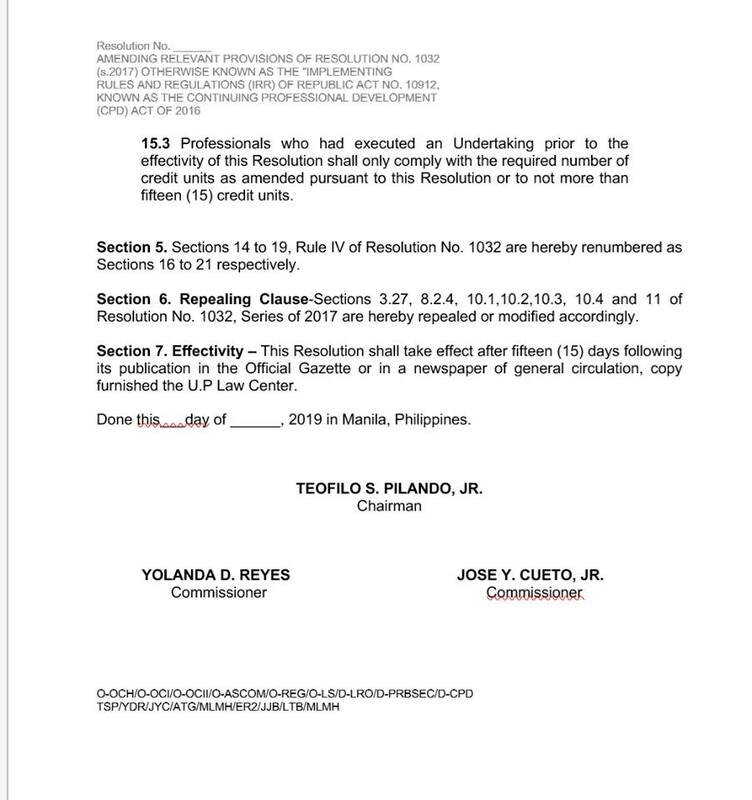 “This resolution will take effect after 15 days following its publication in the Official Gazette or in a newspaper of general circulation, copy furnished the U.P. Law Center,” Pilando said. “Hopefully once all of these things are met then we will be prepared the mandatory character of the law,” the PRC chair added. PRC Commissioner Yolanda David Reyes clarified that the duration of the transition period will differ for all professions. It will depend on their compliance to the “deliverables” or the pre-conditions stipulated in their amended Implementing Rules and Regulations (IRR). “We will be implementing it per profession,” Reyes said. The transition period will be time for Professional Regulation Boards (PRB) and CPD councils to update their operational guidelines for the CPD Act. They have to make sure that the CPD units are aligned with the career progression needed for their professions and present module for CPD programs. These guidelines are expected to be enforced by the respective Accredited Integrated Professional Organization (AIPO) and Accredited Professional Organizations (APO). PRC Commissioner Jose Yabes Cueto Jr. stressed the importance of making CPD units to be “outcomes based” or dependent on the academic or skills achievements of professionals so it will be fair. For example, Cueto cited the case wherein the 15 CPD units for a three-day unit is higher compared to the 10 CPD unit for every year of post-graduate training. During the transition period, they will be looking at possible ways to assess learning outcomes.